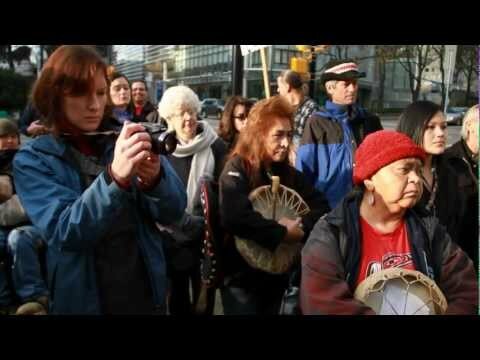 The Tsilhqot'in First Nations and their supporters have been at the BC Supreme Court this week, fighting for an injunction to keep Taseko Mines from commencing work on the controversial proposed Prosperity Mine - amid Tsilhqot'in traditional territory, southwest of Williams Lake. While the Harper Government recently agreed to examine a new version of the mine it already rejected last year, the BC Government has pushed ahead, granting the company permits to begin work. The result is an accelerating stand-off between First Nations, Taseko and the Clark Government - highlighted at this rally outside the courthouse on Monday. Prayers for the a successful outcome on this issue!! !